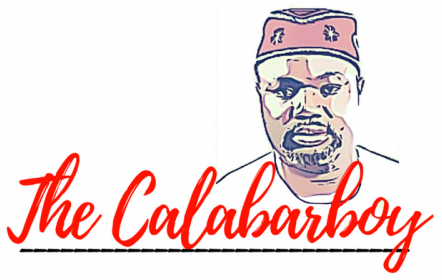 HOW TO GET A JOB: TOSIN’S TESTIMONY | Thoughts of a Calabarboy. HOW TO GET A JOB: TOSIN’S TESTIMONY – Thoughts of a Calabarboy. You know we sometimes underestimate the power of seeking God first before taking any major action. We sometimes study the outlook of things, particularly the socio-economic environment, then jump into action. The latter has its place, but there remains a high chance of grievous mistakes that take time to correct. However, I have rarely seen people who commit their ways to God making mistakes. Tosin’s testimony below is a worthy encouragement in this regard and I can relate to this having walked that road severally. You should read below, in his own word’s, how he landed his current position. This is my testimony in full on how I got a miracle job at Cadbury Nigeria Plc even before my youth service. After my much awaited convocation in July 2010, I made up my mind not to stay idle till November; when my call up letter was scheduled to be distributed. A couple of places and things that could engage me dutifully paced through my mind; I took out time to seek God’s face on what exactly He would have me do and He replied me. I became convinced deep in my heart that my place was in Cadbury Nigeria Plc. I knew neither the location nor any mortal man after the flesh that worked in Cadbury; I didn’t even know the security men at Cadbury. All I needed was to be certain that God directed me to Cadbury, and this assurance resided immovably in my heart. On a certain Monday morning, dressed as though to resume work that day; I stepped out of the house in faith. I inquired about the location of the company and headed there as fast as I could. On my arrival at the gate I requested to see the personnel manager; but I was told by the security personnel that I could not reason being that I had no earlier scheduled appointment. I withdrew a little from the gate and put a call through to Pastor Bamigboye [resident pastor of Faith Tabernacle Winners chapel, Ota]. I told him what I confronted and asked for his blessings; this he gave expressly. As soon as he hung up; a certain man (that I have never met before) walked up to the gate dressed as an engineer; spoke with the security man at the gate for less than a minute and pointed to me signalling that I had access into the premises. I walked in with him and watched as he obtained an electronic tag so we could go through the doors. I thanked him and resumed my goal of seeing the personnel manager. After some inquiry, I located her office and walked up to her. I simply said I recently graduated from Covenant University and I needed to work before my youth service in November. I told her, she had been expecting me and I had finally come to take my place. She asked me who sent me to her (probably she suspected I knew someone highly placed in the management of the company) but I told her ‘my father’, she said ‘who is your father?’ and I said ‘God’. She burst into laughter and as soon as she was done she asked for my CV. I resumed two weeks ago as a graduate trainee in the engineering department; that was how I got my miracle job at Cadbury Nigeria Plc. Praised be to the God…. Glory be to the Lord God almighty who regins forever! Congratulations…there shall be a perfection of all that which concerns your life. GOD IS EVER FAITHFUL. AND I KEYED INTO YOUR TESTIMONY AND IN NO DISTANT TIME IT WILL BE MY TURN IN JESUS MIGHTY NAME AMEN.